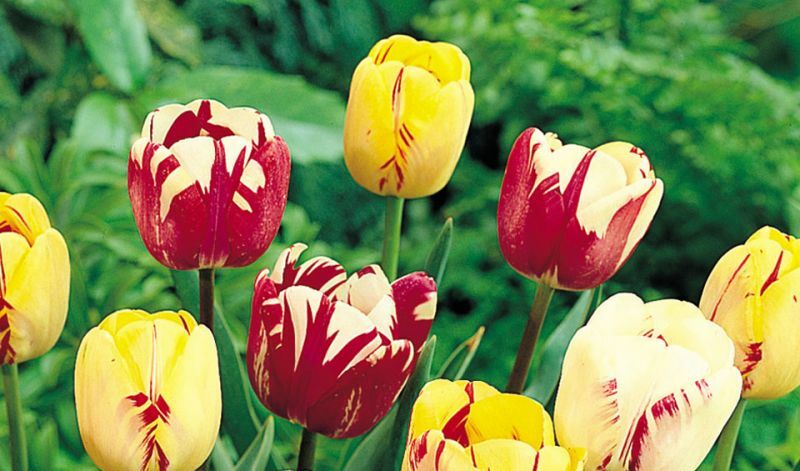 Varieties with 'broken' flowers, striped or marked brown, bronze, black, red, pink or purple on red, white or yellow ground, caused by virus infection. Long stemmed. (Not commercially available, only in historical collections). Closest 'look-alikes': 'Olympic Flame', 'Prince Carnaval' and 'Washington' (all yellow, flamed red).